If Pantone had a Color of the Year party, this would be it. This was our first time ever in Indianapolis, and this city came. to. play. The designers found the perfect way to marry Ultra Violet with Marsala, which just takes us right up to jewel tone heaven. 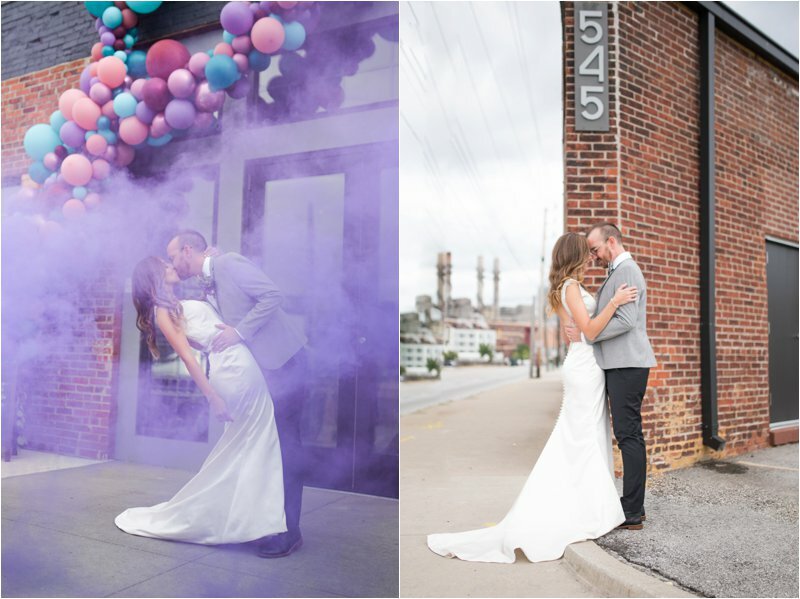 When soaking in all this eye candy, be sure not to miss the amazing Banzi Balloon display, geometric wedding cake, and smoke bomb exit. See it all for yourself in the event highlight below!